Breast cancer survivors who want to have children may be sighing with relief. According to a recent story by Marilynn Marchione of the Associated Press, a study of 1,207 women in Europe shows those who became pregnant after their diagnoses "were no more likely to have their cancer come back than those who did not have a baby." This was true, the story added, "even if their cancers were the type fueled by hormones, which surge during pregnancy and theoretically might spur a recurrence." Results of the study were discussed at an American Society of Clinical Oncology conference in Chicago. The study's lead author, Dr. Matteo Lambertini of the Jules Bordet Institute in Brussels, Belgium, was quoted as saying the test results show that "pregnancy after breast cancer can be considered safe." 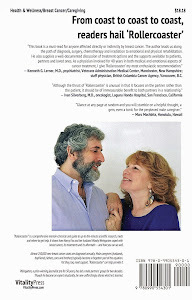 Dr. Richard Schilsky, chief medical officer for ASCO, agreed. Marchione quoted him as saying the results indicate, "fairly convincingly," that women needn't worry. More and more women are being diagnosed with breast cancer in their childbearing years, perhaps an outgrowth of "the average age of moms…rising in the United States," the AP story says. In fact, it notes, "about 11 percent of new breast cancer cases in the U.S. are in women under 45." The story also reported that a big study now underway "in the U.S. and other countries is taking this research one step further, testing whether it's safe for breast cancer survivors who want to get pregnant to temporarily suspend taking the hormone-blocking drugs like tamoxifen usually recommended for five years after initial treatment." 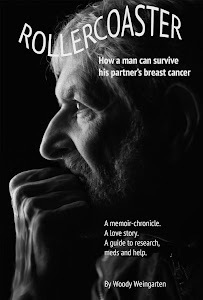 More details about studies relating to the disease can be found in "Rollercoaster: How a man can survive his partner's breast cancer," a VitalityPress book I, Woody Weingarten, aimed at male caregivers.